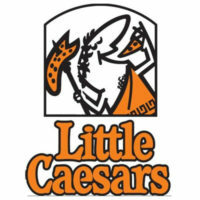 Little Caesars is an internationally recognized pizza chain. Their specialization in carry-out over delivery distinguishes them from other companies, as does their “Hot-N-Ready” pepperoni pizza. If you are interested in a career with Little Caesars, a link where you can find more information about how to apply for jobs at Little Caesars can be found below. The company began in Garden City, Michigan in 1959. Husband and wife Mike and Marian Ilitch took a risk and invested their savings in the very first store, then spread the brand throughout the US by franchising as many of their stores at possible. They are responsible for pioneering many ideas that have since become widely used – among them a two-for-one deal that played into their “Pizza! Pizza!” slogan and a conveyor oven designed to make baking pizzas quicker and more consistent. On their website, Little Caesars espouses the idea of quality pizza at great prices, but that’s not all they’re about. The brand is also meant to represent passion, fun, commitment, and a focus on family. These ideas are reflected in the branding, with catchy slogans and a cute, easily recognizable mascot in the form of Little Caesar himself. Now, Little Caesars holds its place as the third most popular pizza chain in America, behind Dominoes and Pizza Hut. By the early 2000s, it had also spread internationally, and now operates in over 20 different countries. Little Caesars prides itself on giving new entrepreneurs a chance to shine; if you’re interested, find out how to apply for Little Caesars online below. Little Caesars jobs offer opportunities at many levels, from entry-level food service positions to high-ranking corporate careers. The portal for Little Caesars jobs online offers sorting by location, job title, and more, and allows you to upload your resume and apply online for any job opportunities at the manager level or above. Entry-level positions, on the other hand, are not handled through the online application system. Instead, if you are interested in working in a direct customer service position, your best bet is to go down to your local Little Caesars and ask if they are hiring and how they handle their applications, whether it is a direct application online or a printable application form. Little Caesars requires you to be at least 16 years old to work there. However, Manager jobs and above require at least a high school diploma or GED, as well as several years’ experience, requiring a higher age. Hours of operation vary between locations, but generally include lunch and dinnertime hours, so may extend from late morning to after midnight. Employment at Little Caesars brings a variety of benefits with it. At as low as manager level, you qualify for medical and dental insurance, disability insurance, the potential for monthly bonuses, a 401(k) retirement plan, paid vacation and sick/personal days, and much more. Exact values and opportunities may vary with the job in question. Crew Member – Crew members are the first line of contact with customers. They are responsible for helping customers select their food, prepping and packaging food orders, completing transactions quickly and accurately, and maintaining safety and cleanliness guidelines in their work areas. Crew members can be part-time or full-time, and can expect to make minimum wage when first starting out with the possibility of pay raises later on. Delivery Drivers – While Little Caesars mostly focuses on carry-out, many locations do offer delivery services. Delivery drivers are responsible for maintaining a safe driving record, making sure the correct food gets to the customer within a reasonable period of time, and collecting receipt stubs for accurate accounting at the end of their shifts. Delivery drivers make minimum wage when starting out, plus tips. Managers – Managers (and co-Managers) are the next step up on the industry ladder. Their responsibilities include hiring, training, and scheduling crew members, ensuring customer satisfaction, supervising worker safety, and monitoring sales. Managers can be hired from outside or promoted from within; requirements include a high school diploma or GED and several years of food service experience. Manager positions make a salary of between $35-45k a year. Help Desk/IT Support – IT support positions are not based out of singular stores, and instead are responsible for covering large areas. The job description includes providing guidance, assistance, and instructions to clients using the Caesar Vision POS software in a timely, clear manner, so that IT issues do not disrupt the running of individual stores. They must be patient and have a knack for problem-solving. This position makes $45-50k a year. What can you offer us that someone else can’t? This question is meant to suss out what you believe your strengths are, and to see if you can talk about them without coming off as a braggart. The interviewer has already selected your resume from what is likely a large number of them, and is now looking for reasons that you are the best of the interviewing candidates. What are your weaknesses? The interviewer wants to know if you are aware of your weaknesses, and if you are willing to talk about them candidly. Knowledge of your weak spots is a good sign; be honest and straightforward with your answers. If the interviewer seems amenable, suggesting ways that you might work to improve your weaknesses isn’t a bad idea. What is your dream job? This is a tricky one. If it is your dream to work at Little Caesars in whatever capacity you are applying, then go ahead and tell them so. However, if you are less sure, that doesn’t mean you can’t answer this question honestly. Rather than giving specifics, emphasize aspects of your dream job that line up with the job you are interviewing for: for example, if you like interacting with customers, that is a good thing to talk about. How did you hear about this position? This question is less about you and more about the company. The interviewer wants to know how their marketing is working, which pieces to continue and which to take offline. Many companies advertise openings through third party websites, and want to know which of those is worth continuing and which are not. Why are you interested in working for Little Caesars? The interviewer wants to know if you’ve done your homework regarding the company and its values, and to see how dedicated you are to getting this particular job. Reading up on the website about the core values and being able to cite some of them is good, as are positive personal experiences if you have any. Little Caesars, like many companies these days, now handles all applications through their jobs portal on the website, which leads to a third-party website where you can put in your free application. There is no printable application for Little Caesars careers, and you cannot download application form to fill out at home. You must instead create an account on the site to upload and submit your Little Caesars application. As is often the case, the exception is for entry-level crew member positions, which are handled through the location in question. For these, your best bet is to ask the manager at your local store if there are openings and how to apply. Even if they ultimately point you to an online application, make sure to introduce yourself properly and apply promptly afterwards: they are more likely to hire you if they remember your face. After you have put in your Little Caesars job application online and been approved for an interview, you will be contacted to schedule it, most likely at the location you applied for or a nearby office. Wear clean, appropriate clothing to the interview; you may be able to get away with casual wear for entry-level positions, but do make sure it doesn’t have any rips, tears, or offensive slogans. To prepare for your interview, prepare answers to the questions above and other commonly asked questions so that you can answer quickly and clearly, though be wary of sounding too rehearsed. Also prepare several questions of your own about the company or the job, especially if any aspects of the job description confused or concerned you. If you aren’t sure, try asking what a typical day in your desired position looks like. Bring your resume printed on quality paper to your interview as a reference and something to leave with the interviewer if necessary. Keep it polite and positive, and consider sending a follow-up e-mail a day or two after your appointment reiterating your interest in the job and thanking the interviewer for his or her time. Good luck!